As a Faculty within the University of Lethbridge, the Faculty of Education is committed to maintaining our students’ freedom of thought, belief, opinion, and expression. 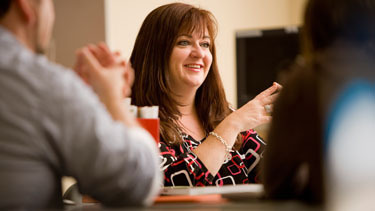 As a professional Faculty, the Faculty of Education is committed to assisting our students in becoming professionals. This gives us the dual responsibility of fostering the academic freedom of our students while at the same time holding them to the high standards of professional conduct, particularly when it comes to field experience and field-related courses within their teacher training programs. The teaching profession is guided by a code of ethics that all teachers are required to follow. Our own standards reflect that same level of professional conduct. As faculty members we are proud to let these standards guide our professional relationships with our students. Our students are expected to nurture these same behaviors and characteristics as students and throughout their careers as teachers. The student acts in a manner that respects the dignity and rights of all persons without prejudice as to race, religious beliefs, color, gender, sexual orientation, physical characteristics, age, ancestry or place of origin. The student treats pupils, peers, school personnel, and faculty members with dignity and respect and is considerate of their circumstances. The student acts in a responsible manner which includes being punctual, dependable, trustworthy, consistent, and reliable. Recognizing that attendance in practicum courses and professional semesters is a professional responsibility, students apprise appropriate personnel at the University and/or school in advance of unavoidable absences. The student demonstrates empathy for others by showing concern for and understanding of others’ feelings and/or ideas. The student responds to feedback by listening to, evaluating, and responding to suggestions. The student maintains positive interpersonal relationships with peers, faculty, school personnel, and pupils by contributing, cooperating, participating, and working with others in a flexible and adaptable way. The student shows enthusiasm and initiative by being actively involved as a participant while encouraging the involvement and participation of others. The student shows maturity and judgment. The student demonstrates a commitment to teaching through interest in learning about teaching, consulting, questioning, reading and discussion. The student criticizes (verbally or in writing) the professional competence or professional reputation of others only in confidence to proper officials and only after the other person has been informed of the criticism. The student respects the confidentiality of information about pupils, peers, school personnel, or faculty received in confidence or in the course of professional duties. The student acts in a manner which maintains the honor and dignity of the profession and the University of Lethbridge. The student does not make representations on behalf of the Faculty of Education, the University of Lethbridge, the school, or the profession. In addition to professional code of conduct, students are expected to meet expectations set out in other University and Faculty of Education policies, and to adhere to expectations set out by The Alberta Teachers’ Association, Alberta Learning, and School Jurisdictions.